Despite the immediate public backlash around the British Army’s latest recruitment campaign, data suggests that it led to a drastic turnaround in the organization’s well-known struggles to bring in new recruits in recent years. 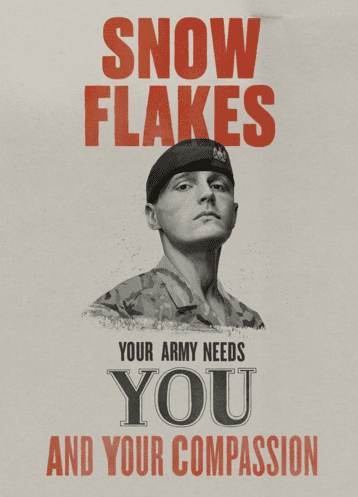 While certain behaviours of the younger generation are seen as faults (from binge gamers’ obsessive drive to snowflakes’ overly emotional state of being), the campaign aimed to explain that these flaws can, in fact, be valued character traits among army personnel. In this blog, I’ll take a look at this emerging demographic before delving into the immediate public reaction post-launch, the campaign’s results and the risks involved with a campaign of this nature. Often to the dismay of those defined as "Generation Z" - much like the Millennials who came before them - the term (along with its many associated stereotypes) has become commonplace in recent years. Generation Z encompasses those who were born any time between the mid-90s and the mid-to-late-noughties; essentially, those who have had access to internet-connected devices from an early age. Technology and social media aren’t essential to life in quite the same way as oxygen and water, but this generation’s immersion in the digital world has completely reshaped both how they communicate and how they consume media. As a result, marketing directed at this demographic is having to adjust to the stark changes in society over the past two decades and consider how these changes are shaping and defining young people. As Generation Z enters the workforce, marketers must quickly adapt to reach out to them and capitalize on their increased spending power. In spite of some unique limitations, they have become the producers and sharers of their own entertainment, entering a near-constant state of cultural capital creation through their use of social media and blogging. This notion is redefining what’s required when targeting the Gen Z audience. As market research firm Wildness explains, Gen Zers are putting a much higher value on "uniqueness, authenticity, creativity, shareability and recognition" than any previous generation. The campaign’s intention was clear - turn the criticisms aimed at the younger generation into a positive and, in turn, use these to motivate them into considering a career in the army. Binge gamers: Your army needs you and your drive. Phone zombies: Your army needs you and your focus. Me me me Millennials: Your army needs you and your self-belief. Class clowns: Your army needs you and your spirit. Selfie addicts: Your army needs you and your confidence. Snowflakes: Your army needs you and your compassion. The head of Army Recruiting, Major General Paul Nason explained the campaign’s objective: "The Army sees people differently and we are proud to look beyond the stereotypes and spot the potential in young people, from compassion to self-belief." He added that "We understand the drive they have to succeed and recognize their need for a bigger sense of purpose in a job where they can do something meaningful." The Army aimed to demonstrate that, unlike many other career paths, they see potential rather than concern in the kinds of stereotypes outlined in the campaign. Alongside this positive message, though, the controversial approach demonstrated the difficulties that the armed forces are facing in their attempts to draw in new young recruits. Despite this being an era in which young people across the globe are demonstrating vastly heightened political awareness and engagement, the campaign calls out to those frustrated by the mundane 9-to-5 to make the switch to the thrill of a career in the armed forces. Given the overarching public perception towards British involvement in recent wars, with young people having grown up through that period, Gen Z is no longer as receptive to the prospect of a military career. The British Army is having to combat this problem through their current marketing efforts. The TV advertisement highlighting the experience of a young woman working at a supermarket illustrates the contrast between trolley-pushing and trigger-pulling but also does quite a disservice to those working at supermarkets across the country. Criticism also comes from the other side of the debate, with military hardliners likely to question the place of "snowflakes" and "selfie addicts" on the front line. In a very positive move for the organization though, the Army rightly distanced themselves from this sphere of thought through the recent "Expressing my emotions - This is belonging" advert. In light of the Army’s targeting of 16-year-olds receiving GCSE results with a paid Facebook advertising campaign on and around results day, however, it does feel necessary to question the intentions of this campaign. Capitalizing on the likely emotional slump experienced by many teens on this specific day to let them know that the army could offer an immediate alternative raises further questions about the more recent campaign’s intentions. Does it really seek to reverse the stereotypes of this generation? Or does it simply fuel them by turning a blind eye to the more harmful consequences of some of Generation Z’s norms (the impact of social media on young people’s mental health, for example)? 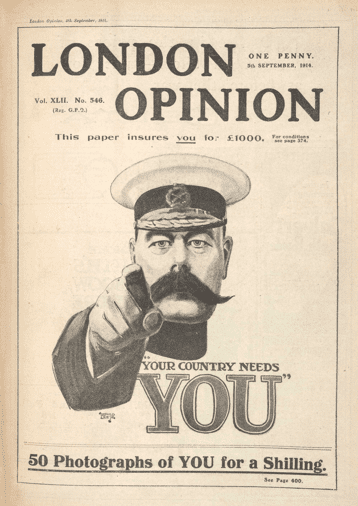 It’s been almost 105 years since the "Lord Kitchener Wants You" poster was created to drive recruits to enlist in the British Army during World War I. "This image [...] has become an icon of the enlistment frenzy. However, it did not appear in poster form until the end of September 1914, after signing-up peaked. Its supposedly vital influence on recruitment is largely a myth." Legacy outweighs the immediate impact for this campaign since the original has become iconic and frequently imitated over the past century. The snowflake campaign identified its target audience just like the original, but it was tailored instead to specifically catch the eyes of today’s disenfranchised youth. Despite there being some questions around the success of the 1914 poster, the impact of the most recent version appears less in doubt. On the first day the posters were released, the Army reportedly received their largest number of applications in a single day for over a year. The following five days saw 2,700 applications come in. Applications to join in the first three weeks of January rose to 9,700, which is almost double the figure for January 2018 and a significant rise from December’s total of just under 5,000. Although many did not react positively to the campaign, the team behind it were comfortable in the knowledge that those who would have issues were not those who it was aimed at. In essence, the campaign succeeded in its goal of boosting applications, but it probably also succeeded in further alienating many from the armed forces’ cause and purpose. Widespread criticism of the campaign remains, but many have defended it for sparking debate and making young people aware of the array of career opportunities offered by the British Army. As an exercise in remedying a long-standing recruitment slump, one can only admire both its results and how bold its approach was. On the other hand, we can see that the British Army is once again having to go above and beyond to shift public perception and convince young people of the benefits of joining their cause. If the internet’s overall reaction is anything to go by, then this campaign will have done little to improve that perception, but for the recruiters enjoying an influx of applications it will be seen as a roaring success. Lewis Dormer is a Digital Marketing Executive at Smart Insights. He has worked across various channels in digital marketing, from search engine optimization and web content creation to email marketing and social media. Outside of work, he enjoys keeping fit by running and going to the gym, and he spends his weekends sampling the finest beers in Leeds. You can connect with Lewis on LinkedIn.